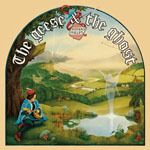 Share the post "Album review: ANTHONY PHILLIPS – The Geese & The Ghost"
Anthony Phillips chats about the reissues (9:07) This is un-broadcast material from a special feature about Anthony on Get Ready to ROCK! Radio, 29 March 2015, 16:00 GMT. Anthony Phillips’ debut album was some 8 years in gestation and not without trial and tribulation. The album’s small beginnings can be traced to 1969 when he worked up formative compositions with fellow Genesis member Mike Rutherford. After Phillips left Genesis in 1970 his original cohort’s attention and effort was taken up with his band interest, especially after Peter Gabriel’s departure in 1974. Phillips persisted and, notwithstanding taking time out to re-train on classical guitar, eventually completed the album in the mid-1970s. He even got Phil Collins to sing vocals on a couple of tracks. And, in between, there were brave recording attempts at his parents home – Send Barns – and even on a barge in London’s Little Venice. ‘Geese’ has been released as an expanded edition before as part of a previous reissue campaign via the now defunct Voiceprint label. This latest version duplicates the 2008 bonus disc but – perhaps frustratingly for fans – adds an unreleased track (a mooted single B-side) ‘Only Your Love’. Otherwise, this extra disc mainly features unused material from the ‘Geese’ sessions and basic tracks without the final overdubs. The real bonus this time round is the 5.1 original album remix and many listeners might feel that the time is right to invest in a half-decent surround sound system, early Genesis followers especially as Steve Hackett’s new work is also available in this format. Genesis biographer Alan Hewitt puts things a little more affectionately in the new liner note introduction: here was an album that had a significant and enduring personal impact to those who listened and introduced them to Phillips’ absorbing world of musical and lyrical finery and always injected with humour and unashamed romanticism. The album is more acoustic guitar-driven than some of Phillips’ subsequent works, is largely instrumental, and enjoys contributions from those prog stalwarts John Hackett and Jack Lancaster. Anthony Phillips’ few vocals are perhaps best described as a “tentative toe in the water” but his plaintive, folksy (without being folk) approach does always complement the delicate ebb and flow of the music. Of course, Phillips had a key role shaping Genesis’ original sound and Genesis fans will find much of ‘Geese’ strangely familiar. If they haven’t already done so, they will also want to explore songs that have some resonance with their heroes. On the bonus disc, for example, ‘Silver Song’ was originally written in 1969 after Genesis drummer John Silver had left the band and features Phil Collins on vocals. (Collins also sings on the previously unavailable ‘Only Your Love’). The long piece ‘Henry: Portraits from Tudor Times’ may even get a timely boost from our new found fascination with all things Tudor via ‘Wolf Hall’ and here gets expanded with a previously unused portion of the second section now called ‘Lute’s Chorus (reprise)’, although this was also featured on the 2008 reissue. If you thought Voiceprint did a good job on that reissue hold your breath; as ever Esoteric/Cherry Red’s take is comprehensive, placing the three discs in an attractive box with a fold-out poster, detailed booklet (although reprising if not crediting Jonathan Dann’s previous essay) and including that 5.1 mix supervised by long-standing collaborator Simon Heyworth (who also engineered ‘Tubular Bells’). This entry was posted in ALBUM REVIEWS, ALBUM REVIEWS (Mobile), All Posts, Reissues and tagged 5.1 mix, album, Anthony Phillips, box set, Genesis, Mike Rutherford, Phil Collins, reissue, review, The Geese And The Ghost. Bookmark the permalink.